Auto Glass Services & Power Windows Repairs - What Are Auto Power Windows ? What Are Auto Power Windows ? 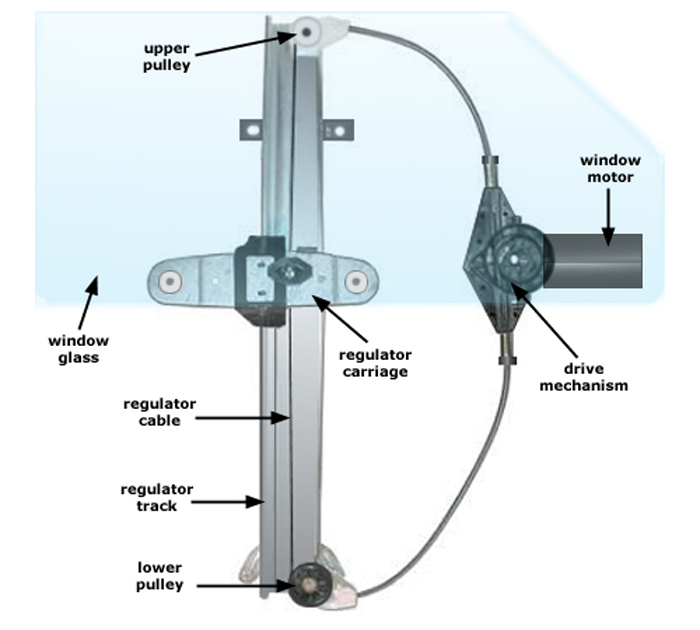 Window regulators and motors, located within car doors, help raise and lower windows of the vehicle. Since we use our windows frequently, window regulators and window motors are some of the most actively used parts in any vehicle. For this reason, window regulators and window motors are subject to high wear and tear that lead to breakage and inconvenience. How Does The Window Regulators with Motor Work? Whether its a truck ,suv,van,sedan we rebuilt or replace any type of Car window regulator or car window motor or just off track door glass , Charleston Auto Glass technicians can expertly replace it or rebuilt your power/manual window . WHY DOES POWER WINDOWS STOP WORKING?